Courage is not the absence of fear, says Osho. It is, rather, the total presence of fear, with the courage to face it. This book provides a bird's-eye view of the whole terrain--where fears originate, how to understand them, and how to find the courage to face them. In the process, Osho proposes that whenever we are faced with uncertainty and change in our lives, it is act Courage is not the absence of fear, says Osho. It is, rather, the total presence of fear, with the courage to face it. This book provides a bird's-eye view of the whole terrain--where fears originate, how to understand them, and how to find the courage to face them. In the process, Osho proposes that whenever we are faced with uncertainty and change in our lives, it is actually a cause for celebration. Instead of trying to hang on to the familiar and the known, we can learn to enjoy these situations as opportunities for adventure and for deepening our understanding of ourselves and the world around us. The book begins with an in-depth exploration of the meaning of courage and how it is expressed in the everyday life of the individual. Unlike books that focus on heroic acts of courage in exceptional circumstances, the focus here is on developing the inner courage that enables us to lead authentic and fulfilling lives on a day-to-day basis. This is the courage to change when change is needed, the courage to stand up for our own truth, even against the opinions of others, and the courage to embrace the unknown in spite of our fears-in our relationships, in our careers, or in the ongoing journey of understanding who we are and why we are here. 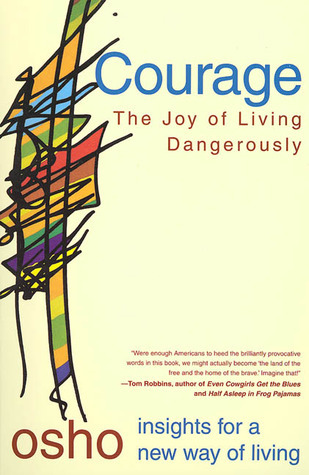 Courage also features a number of meditation techniques specifically designed by Osho to help people deal with their fears.